The US Institute of Medicine’s (IOM) committee on the Diagnostic Criteria for Myalgic Encephalomyelitis/Chronic Fatigue Syndrome (ME/CFS) has recommended that the name ME/CFS be changed to Systemic Exertion Intolerance Disease (SEID). It has also recommended that the disease be assigned a new code in the current WHO International Classification of Diseases, tenth edition (ICD-10). In addition, five main symptoms have been identified and new diagnostic criteria developed. This was revealed in a press release embargoed until 11 am EST (4 pm GMT) today. The press release shares information from the committee’s 235-page report titled Beyond Myalgic Encephalomyelitis/Chronic Fatigue Syndrome Redefining an illness, and also embargoed until 11 am EST today. The official release of the report will be webcast live. Between 836,000 and 2.5-million Americans suffer from ME/CFS and alarmingly, about 84 to 91 percent of those with the disease are not diagnosed. The report states (as ME/CFS sufferers know only too well), that while symptoms can be treated, the cause remains unknown – although symptoms are sometimes triggered by infection – and there is no known cure. Less than one-third of medical schools include ME/CFS-specific information in the curriculum. Another alarming statistic highlighted is that 67 to 77 percent of patients reported it took more than a year to get a diagnosis. The cost implications are also enormous, with direct and indirect costs of ME/CFS to society estimated at $17-billion to $24-billion annually, $9.1-billion of which has been attributed to lost household and job productivity. The committee has developed five new diagnostic criteria that coincide with the five main symptoms they identified. She said the new criteria would make it easier for clinicians to recognize and accurately diagnose patients in “a timely manner.” It would also enable a large percentage of currently undiagnosed patients to receive appropriate care. A substantial reduction or impairment in the ability to engage in pre-illness levels of activities – and this should persist for more than six months and be accompanied by often profound fatigue that is not the result of ongoing excessive exertion and not substantially alleviated by rest. “Unrefreshing sleep” – which means that sleep doesn’t help them feel rested or less fatigued. The inability to remain upright with symptoms that improve when lying down. This is known as orthostatic intolerance. “These symptoms should persist for at least six months and be present at least half the time with moderate, substantial, or severe intensity to distinguish ME/CFS from other diseases,” the press release states. The committee recognized that proposed criteria will not improve the diagnosis and care of patients unless health care providers use them. For this reason it recommended that the US Department of Health and Human Services (HHS) should develop a toolkit for screening and diagnosing patients with ME/CFS in a wide array of clinical settings, including primary care practices, emergency departments, and mental health clinics. To convey the complexity and severity of ME/CFS, the committee recommended that the disorder be renamed “Systemic Exertion Intolerance Disease” (SEID). 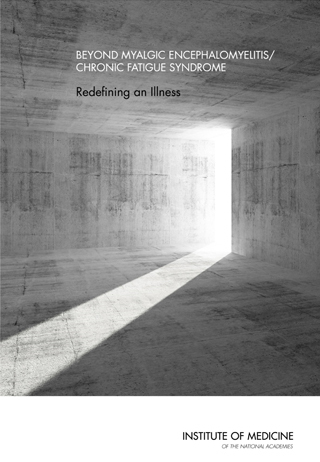 “The committee, along with many ME/CFS patients, believed the term ‘chronic fatigue syndrome’ perpetuates misunderstanding of the illness and dismissive attitudes from health care providers and the public. 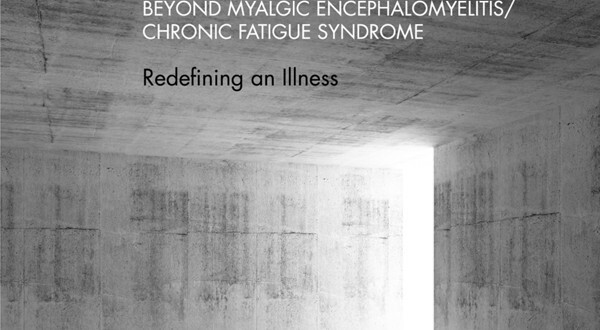 The term ‘myalgic encephalomyelitis’ was deemed an inappropriate name by the committee, because myalgia, or muscle pain, is not a core symptom of the disease and because there is inconclusive evidence of brain inflammation in ME/CFS patients. SEID captures the central characteristic of the disease that exertion of any sort can adversely affect several organ systems and many aspects of patients’ lives, often seriously and for long periods. As the press release highlights, the committee also found that research on ME/CFS is urgently needed, especially given the number of people affected, because too little is known about the causes, development, and progression of the disease, or about effective treatment. For this reason, the committee recommended that a multidisciplinary group re-examine the proposed criteria after five years or sooner if firm evidence supports the need for modification. The study was sponsored by the Office on Women’s Health within the US Department of Health and Human Services, National Institutes of Health, Centers for Disease Control and Prevention, US Food and Drug Administration, Agency for Healthcare Research and Quality, and U.S. Social Security Administration. Established in 1970 under the charter of the National Academy of Sciences, the Institute of Medicine provides independent, objective, evidence-based advice to policymakers, health professionals, the private sector, and the public. The National Academy of Sciences, National Academy of Engineering, Institute of Medicine, and National Research Council make up the National Academies. There was one staff member, Carmen Mundaca-Shah who was Study Director.